WINTER SERIES RACE #3 MARCH! LIVE FEED AND RESULTS! What to do before Districts? What scales is everyone using? Won his first scout race! how much do air shields help? My son’s GLFSC pinewood derby runs. Is it possible to over polish a wheel bore? 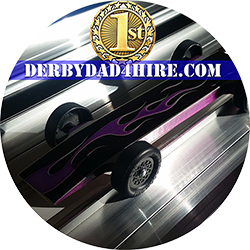 So I caught this bug..
Test your pinewood derby car against the fastest cars in the USA!